A quick recap of my trip picks from the Chicago International Film Festival—I got to see 11 features plus 2 sets of animated shorts and a “bonus” surprise film at the (Gene) Siskel Film Center, which I’d always wanted to see—we squeezed that one in between two other features at the AMC River East, which is where all the Festival films are screened. Obviously, a lot of these won’t make it to the multiplex but hopefully will turn up on Amazon Prime or Netflix. The most mainstream that I saw were The Favourite, At Eternity’s Gate & Boy Erased—the former 2 were deserving of 4 stars. All are strong films (though I confess Boy Erased is a bit more traditionally formulaic journey about conversion therapy). The Favourite is a wonderful tragicomic ride with superlative performances (Broadchurch’s Olivia Colman, Rachel Wiesz & Emma Stone) and At Eternity’s Gate is artist/filmmaker Julian Schnabel’s meditation on Vincent Van Gogh’s final days, with a mesmerizing performance by the artist’s lookalike Willem Dafoe. The dramatic film that surprised me the most was indeed the “surprise” film I knew nothing about in advance. The Danish film The Guilty is one in a line of films like Locke, which feature a main character in a stressful dramatic situation in a single location (for the most part)—it’s superlatively done, with a knockout lead performance by Jakob Cedergen. I highly recommend! The (sweetly) comic film that surprised the most is Wolkenbruch’s Wondrous Journey into the Arms of a Shiksa—it’s a lovely, (never too late) coming-of-age film about one Swiss-Jewish man’s attempts at asserting himself and becoming independent from a controlling mother and traditional society. I knew absolutely nothing about the film and was lucky to be in the audience for its world premiere. I hope it doesn’t fall through the cracks distribution-wise. The film I was most looking forward to did not disappoint in the least, in no small part due to the performances of Catherine Deneuve and (real-life) daughter Chiara Mastrioanni (daughter of the late Italian actor Marcello) playing mother and daughter in Claire Darling. Adapted from an American novel, the French director, who was present, seemed very relieved that the author, who was supposed to be in attendance, had not made the first showing (which incidentally was only the third screening world-wide; the film isn’t even scheduled to be released in France until February). Two foreign mysteries were on tap the first day I arrived—there was a similarity of theme and some red herrings in the plots of both. Ultimately, the Belgian film Duelles (English title: Mother’s Instinct) was more tightly constructed and an obvious homage to Hitchcock, featuring beautifully nuanced performances from the two main actresses and terrific design and craft work. What else? 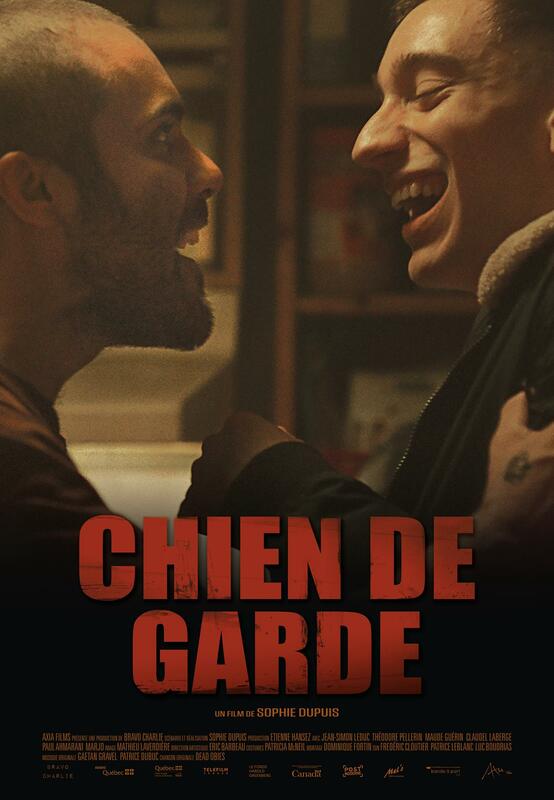 The superb but sometimes hard-to-watch 2018 French-Canadian Oscar submission for Best Foreign Language Film Chien de Garde, or Family First, a gritty urban tale of two brothers, one married to his family’s gang life and the other, more sensitive and trying to break free from this hopeless situation. The last 2, both French, had merit but ultimately just weren’t as strong as the rest. The Trouble With You used a somewhat unbelievable comic situation (a police officer shadowing an innocent, just-released prisoner to allow him full rein to unleash his anger on an unknowing and unwilling public) that ran out of steam long before the film was over.